Newbury is a town of approximately 6,900 people, located 34 miles north of Boston and is bordered by Rowley, Newburyport, Georgetown and West Newbury. 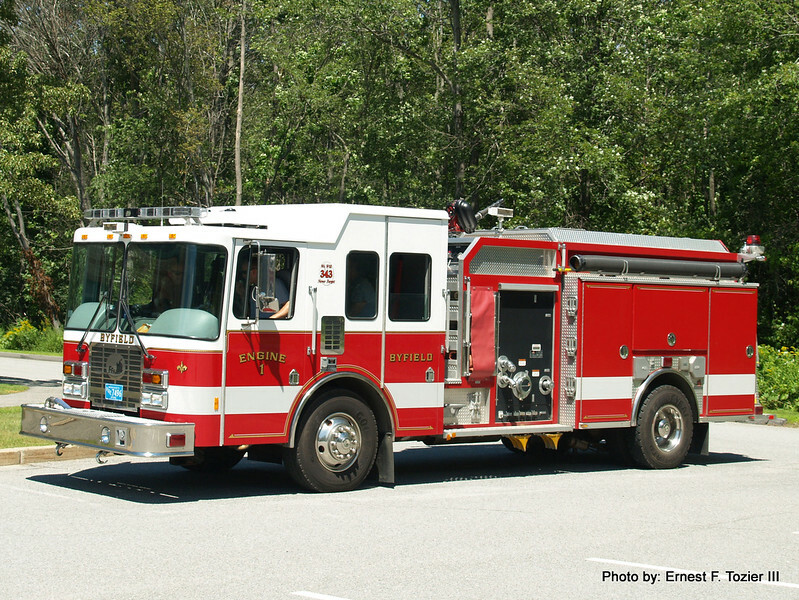 Byfield Protection #1 is one of two fire departments serving the town of Newbury, the other being Newbury Protection #2. Byfield Protection #1 operates 3 engines, 1 ladder, 1 Forestry and 2 Amblulances out of headquarters at 44 Central Street in Byfield, the Department is staffed by 2 fulltime Firefigthers and 35 call members.